Home » Articles-Blog » What Does the NHL Deal Mean for the CBC? for twelve years, for $5.2 billion. CBC will be carrying Hockey Night in Canada for the next four years–a total of 320 hours of hockey programming a year. After that, presumably, it’s all over for the iconic program, and Rogers becomes the sole NHL broadcaster via Sportsnet. Those final CBC broadcasts will be under the editorial control of Rogers, with CBC providing behind-the-scenes production facilities and expertise. Rogers will sell all advertising spots, and keep all ad revenue. CBC loses about $100 million in advertising revenue, but saves about the same amount in NHL contract costs, and an additional $25 million or so in production costs. (These, presumably, will be paid for by Rogers.) There will also be a saving of sales and promotion costs related to hockey broadcasts, perhaps another $30 million. On paper, this looks like a net gain for CBC of about $55 million a year—the former HNC expenses of $155 million minus the $100 million in ad revenue now in the hands of Rogers. But remember, CBC in four years will have a 320-hour programming hole to fill. Whether this is a good deal for Rogers is a concern for Rogers shareholders. Whether it’s a good deal for the CBC is a matter of concern for all Canadians. It’s questionable, in fact, whether such an arrangement is even legal, given the CBC’s public service mandate. What the deal means in practice is that the public broadcaster will be turning over about 40% of its prime time air space during the hockey season to a commercial broadcaster, without retaining editorial control. What the CBC carries during those hours will be determined entirely by Rogers. Is that what the citizens of this country expect for the $1 billion in public broadcasting subsidies they provide each year? Should the CBC’s Parliamentary appropriation be subsidizing Rogers Media by providing a training ground for their producers and technicians in the finer points of hockey telecasting? We can safely leave that to the CRTC to sort out. Meanwhile, the deal actually sounds like good news for public broadcasting, because it means that in four years—perhaps sooner— the CBC will be free of hockey. And why is that a good thing? Because it moves the CBC one step closer to getting out of commercial sponsorship altogether, and becoming a true public broadcaster. Without hockey and the 320+ hours of Canadian content it provides, CBC will now have to go back to square one and figure out what it is supposed to be. It has the opportunity, now, to become what it should have been all along: a publicly-subsidized broadcaster serving its audience as citizens rather than as consumers. The CBC was hard-pressed to cover the $100 million annual cost of the last NHL contract. With production costs rolled in, it had to find $125 million to televise hockey, but advertising revenue added up to only about $100 million in a typical year. NHL hockey has in recent years provided CBC television with about 350 hours of programming each year, all of which qualifies as Canadian content. But the expense has drained production money away from other kinds of programming on both television and radio. 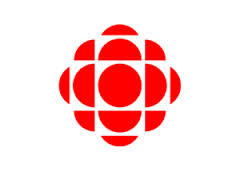 The current corporate strategy, which many fans of public broadcasting have seen as disastrous for the long term survival of the CBC, has been to maximize advertising revenue. To do this, CBC must mimic private broadcasters in striving for higher ratings for its programming, often at the expense of quality, relevance, and public service. The danger seen by supporters of public broadcasting is that CBC programming winds up being indistinguishable from commercially-sponsored programs on private networks, and many would argue that this is already the case. (Including Globe and Mail critic John Doyle, who has called the network’s programming “a blinding sheen of lightweight nonsense.” When that happens, justifying the annual federal subsidy of $1 billion to the public broadcaster becomes difficult, if not impossible. The answer proposed by public broadcasting supporters has been for the CBC to get out of the advertising business completely. This would require, at minimum, a doubling of the annual Parliamentary appropriation, which could be financed through a targeted tax on media distributors such as Bell and Rogers. There is plenty of room in overall broadcasting the system for a targeted tax on private broadcasters and distributors–Bell, Rogers, Shaw Quebecor–of between 5% and 7%. That would allow for a subsidy to the public broadcaster of something like $2.5 billion a year, which would put Canada up near the average of OECD nations’ subsidies to public broadcasters. With the CRTC currently in the process of re-thinking the entire broadcast regulation environment and seeking public input, this may be the best opportunity in a generation to finally do something to rescue the CBC from oblivion, on both television and radio.